It started with a tweet from the New Zealand HR Advisors Conference. Speaker Justin Ennor had just challenged the room to use technology more and for HR to go paperless in 2015. I agreed wholeheartedly. That same evening I facilitated the #NZLead chat on the subject of how HR can help save our planet. Participant Carmen Bailey suggested that policy and process requires lots of paper. I responded that I didn’t think it should and that was there is no excuse now for HR teams to not be paperless. In my last two HR teams we made conscious decisions not to hold paper personal files for staff members. Every paper document that required a signature was scanned or saved at source as a PDF. Contracts were emailed wherever possible along with induction material. Personal files were online not in a filing cabinet. There are those that will still say you need to retain the original paper copies of some documents like employment agreements and I remember when the first team I was in that went down this route talked about it, we checked out the legal position before doing it. You don’t, although clearly there are some documents it would be prudent to retain in hard copy as well as digital. So if you work for a company that still keeps a paper file on every staff member, every employment dispute, still uses paper forms for performance management and recruitment, still prints every offer of employment, prints out policies and employee handbooks, induction packs etc, then it’s time to challenge the status quo. If you spend hours at the printer/photocopier then stop it. If you do have to print some things, then recycle them afterwards. 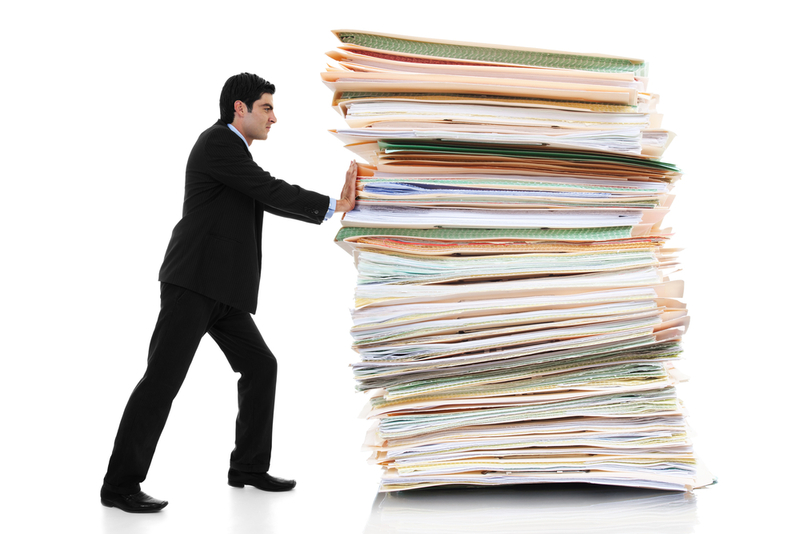 Think about every piece of paper you generate in HR and how you can eliminate the hard copy. It’s not hard to do. You don’t need fancy HR systems, you have the tools already. You just need to change your thinking and use the technology you have access to. It is ridiculous in this day and age that so much paper gets generated by companies, probably more than ever before. When I left my last job I had draws and filing cabinets full of the stuff, 95% of which I had forgotten about and clearly didn’t need. So don’t be a hoarder. And even for those of us (myself included) who often print things out because we prefer to read large documents that way, challenge yourself to read it online. That will be one of my goals for 2015 – to change those ingrained habits. Pretty much all of what we produce in HR is simply not worth the paper it’s printed on. Really it isn’t.